Parent Support Circles are free, weekly gatherings are for parents in any situation to safely share their challenges, receive support and understanding for their roles as parents. These Circles are free, anonymous and confidential, and are led by trained volunteer facilitators. Child-minding assistance is available and some Circles have onsite child-minding. For more information, or to join a Circle call: 604-669-1616. Grandparents Raising Grandchildren (GRG) Support Circles are free, weekly gatherings are for anyone who is raising a family member’s child to safely share their challenges, receive support and understanding for their roles as caregivers. There are currently Grandparents Raising Grandchildren Support Circles in Langley, Delta, Abbotsford and Vancouver. Groups meet weekly or bi-weekly, and child-minding assistance or onsite child-minding is available if needed. For more information or to join a group, call: 604-669-1616 or the Grandparents Raising Grandchildren Support Line at 1-855-474-9777. PSS Initial Facilitator Training helps new volunteers to understand their role and strengthen the knowledge and skills needed to facilitate a Support Circle. PSS Initial Facilitator Training is also available to professionals who wish to hone their group facilitation skills and learn more about the PSS self-help and co-facilitation model. Check here for upcoming trainings. 1) What is the difference between Discipline & Punishment? 2) The stages of Child Development and the appropriate discipline. 3) What resources are available to support Parents, Caregiver and Children. Limited childminding spaces will be available onsite; please let us know when registering if you will require childminding. 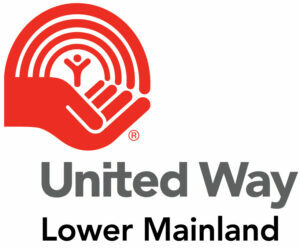 Held in partnership with SHARE Family & Community Services, with financial contributions from the Government of BC and United Way Lower Mainland.